Join thousands of barre instructors from all over the world who have participated in our online and in-person training. Excellence in learning - from the most reputable institution in online barre education industry! IBBFA Barre Certification is the world's leading and most extensive Barre training option that is fully available online. Thousands of instructors from all over the world have participated in our online and in-person training. Once certified you will be able to teach a safe and effective Barre Class your clients will LOVE! Complete flexibility over how you teach your classes. You can use our outlines or design your own so that they are tailored to your clients' specific needs. This increases retention and even one retained student would pay for this program over 6 months period. Once you become certified, you can start teaching right away. IBBFA Credentials (ID Card & Online Directory) makes it easier for a potential employer to instantly verify your credentials, so you can start teaching sooner. Certified instructors can teach anywhere in the world! Can you imagine relocating to a different part of the world to teach? As an independent contractor you can. In addition to the unlimited online support you will receive, all members get access to our closed Facebook group - a great resource for connecting with others. We know questions will come up once you start teaching and we are here to help you at every stage in the process. Our support goes beyond the classroom. Thanks to our vast network of working professionals, you can lean on us to help you grow from instructor to studio owner and from owner to multiple studio owner. Once you are a part of our tribe, you are a lifetime member. We are the only program with an online directory. Others claim to have certified thousands of instructors but we actually list all of them. Barre has allowed me to find the long lines and toned definitions of my body while being able to enjoy the calmness that comes from doing a workout that is low to no impact… We have no other studio or fitness center within 30 miles that teaches barre. I am excited to share my love of barre with others! By getting my barre certification, I was not only looked at with more interest by potential employers but got a response back from each and landed two jobs within my first week of applying and interviewing! I love IBBFA! Why vast majority of the future barre instructors choose our training? We're setting the standard. 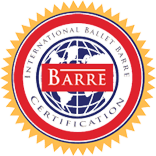 IBBFA Certification is the internationally-recognized ‘gold standard’ in barre education, and IBBFA is the only organization working to create universally-accepted standards for barre instruction certification. We have the most CEC's. An IBBFA Certification is accredited by more fitness associations around the world than any other barre certification out there. Learn from the best! 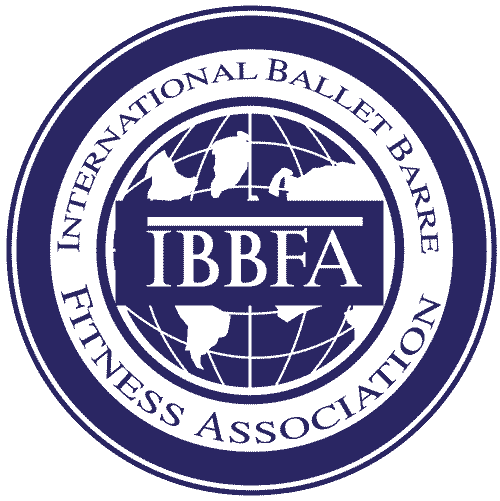 IBBFA Barre Certification is the world's leading and most extensive training option that is fully available online. We are known in the industry for the quality of our instruction, and our program materials are constantly updated to reflect the latest research and industry developments. Top notch customer service. We pride ourselves on our superior customer support, which is frequently recognized by instructors who have gone through the certification process. Our team goes above and beyond to make sure that you are supported throughout your journey to become certified. We have the largest private study group for instructors. In addition to the unlimited online support you will receive, all members get access to our closed Facebook group - a great resource for connecting with others. If you are not happy with the IBBFA Barre Certification Program, we will refund the cost in full within 30 days of signing up or before you complete the written test, whichever comes first. Complete each unit, one at a time. After completing all 11 units, take the final assessment and submit a final video. Receive your certification and get added to the Directory of IBBFA-Certified Instructors! YOU CAN TRY IT RISK-FREE! If you are not happy with the IBBFA Barre Certification Program, we will refund the cost in full within 30 days of signing up or before you complete written test, whichever comes first. © 2019 Discover True You, Inc.